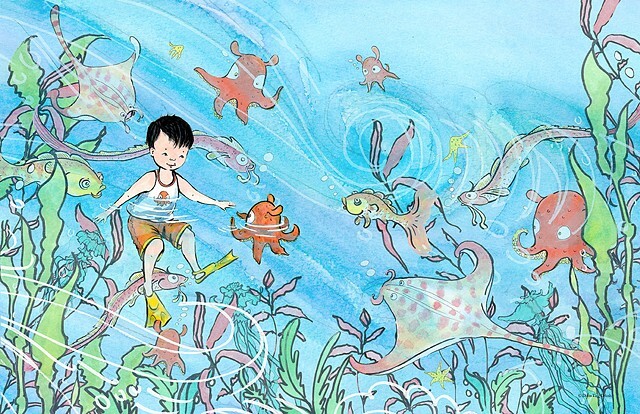 Boy Meets Octopus © Diana Ting Delosh. Illustration inspired by the first few lines in Lewis Carroll's famous nonsense poem, The Jabberwocky. My take on the poem is a young boy's playful imagination of meeting the sea critters while treading water at the seashore.